Alfa Laval – a world leader in heat transfer, centrifugal separation and fluid handling – has won an order to supply Alfa Laval Packinox heat exchangers to a petrochemical plant in India. Alfa Laval – a world leader in heat transfer, centrifugal separation and fluid handling – has won an order to supply Alfa Laval Packinox heat exchangers to a petrochemical plant in India. The order is booked in the Process Industry segment and has a value of approximately SEK 185 million. Deliveries are scheduled for 2013 and 2014. 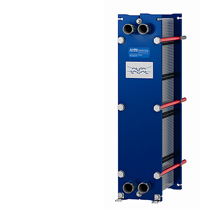 “This is the second large order, within a short period of time, for our highly energy-efficient Alfa Laval Packinox heat exchangers. This order proves that our customers value the superior performance of Packinox heat exchanger in the demanding petrochemical and refinery applications”, says Lars Renström, President and CEO of the Alfa Laval Group. Did you know that… the Indian petrochemical industry is expected to grow 12-15 percent annually over the next five years, according to a report from the Associated Chambers of Commerce and Industry of India (Assocham)? Alfa Laval – a world leader in heat transfer, centrifugal separation and fluid handling – has won an order to supply a complete Dried Distillers Grains with Solubles (DDGS) process line to one of the biggest distilleries in Russia. The order value is approximately SEK 60 million and delivery is scheduled for 2013. Alfa Laval will provide various pieces of equipment such as decanters, evaporators and fluid handling products to one of the biggest Russian distilleries, located in Tatarstan, a region along Central Volga. The process line will convert the distillery waste stream into animal feed by-product. Did you know that … since March 2010 there is a federal law in Russia to prevent pollution from distilleries, making it mandatory for alcohol producers to treat the stillage? 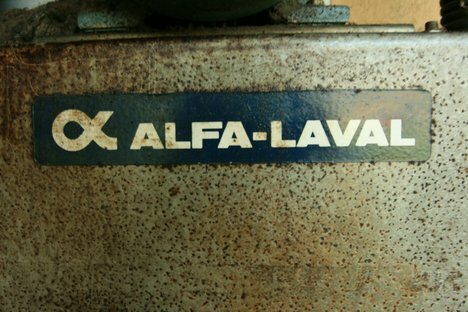 Alfa Laval is listed on the Nordic Exchange, Nordic Large Cap, and, in 2011, posted annual sales of about SEK 28.6 billion (approx. 3.2 billion Euros). Alfa Laval – a world leader in heat transfer, centrifugal separation and fluid handling – has won an order for supply of a complete process solution to a baby food manufacturer in India. The order value is about SEK 100 million and delivery is scheduled for 2013. The order consists of a complete baby food processing line and includes a variety of Alfa Laval products for mixing, heating and cooling operations, such as heat exchangers and a large amount of flow equipment. “This order confirms the growing demand for prepared food applications driven by the increasing living standard in fast-growing economies – where India is one good example”, says Lars Renström, President and CEO of the Alfa Laval Group. Did you know that… India has around 159 million children up to the age of six and they account for 13.1 percent of India's population? About one fourth of the children live in urban areas. Alfa Laval’s products are also used in power plants, aboard ships, in the mechanical engineering industry, in the mining industry and for wastewater treatment, as well as for comfort climate and refrigeration applications. Alfa Laval’s worldwide organization works closely with customers in nearly 100 countries to help them stay ahead in the global arena. Alfa Laval is listed on the Nordic Exchange, Nordic Large Cap, and, in 2010, posted annual sales of about SEK 24.7 billion (approx. 2.6 billion Euros). The company has 12 600 employees.